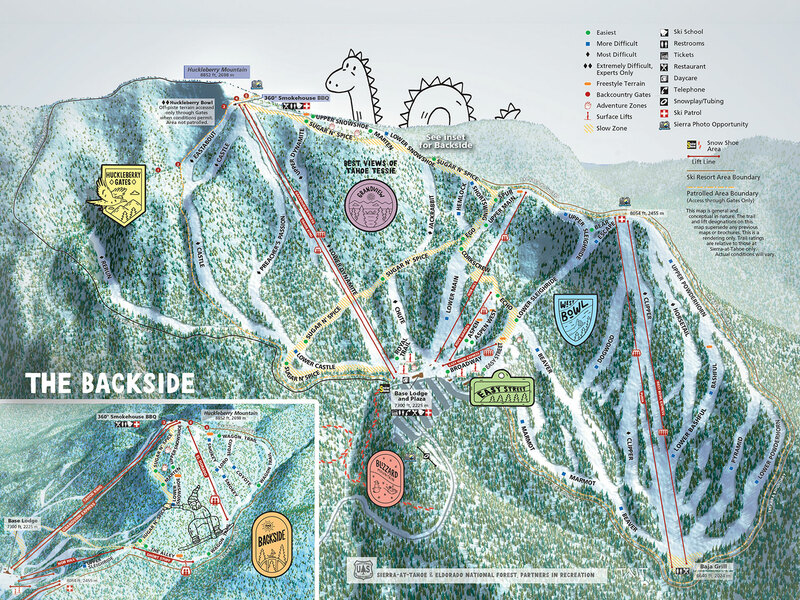 Check out our 2,212 vertical feet, 2,000 acres, 14 lifts, 46 trails, innovative progressive terrain parks and plenty of steeps, groomers and backcountry terrain for you to enjoy. View the large version of the Sierra-at-Tahoe Trail Map. Skiers and riders should be advised that a green circle, blue square or black diamond trail at Sierra-at-Tahoe area is not necessarily the same as a similarly rated trail at another area. The system is a relative system that is valid only at this area. Skiers and riders should work their way up, beginning with the easiest trails no matter what their ability level may be, until they are familiar with the trails at the area.